Yves-Joseph de Kerguelen-Trémarec (13 February 1734 – 3 March 1797) was a French explorer and naval officer. He was born in Landudal, Brittany. During the Seven Years' War, Kerguelen-Trémarec was a privateer, but without much success. In 1767 he sailed near Rockall, or Rokol. Although he may not have approached within sight of it, or even within 150 miles, he appears to have had good information regarding it. His charted position for it was only 16 miles north of its actual position and he accurately described its appearance and the nearby Helen's Reef: "East of Rokol, ¼ league away, there is a submerged rock over which the water breaks". In 1771, he published a map of the area. In early 1772, he was assigned command of the third French expedition sent in search of the fabled Terra Australis with the vessels Fortune and Gros Ventre. The expedition discovered the isolated Kerguelen Islands north of Antarctica in the southern Indian Ocean and claimed the archipelago for France before returning to Mauritius. He was accompanied by the naturalist Jean Guillaume Bruguière. In his report to King Louis XV, he greatly overestimated the value of the Kerguelen Islands; consequently, the King sent him on a second expedition with the ships Rolland and Oiseau, but was again unsuccessful in finding Terra Australis. By now, it had become clear that the Kerguelen islands were desolate and quite useless, and certainly not the Terra Australis. On his return, Kerguelen-Trémarec was sent to prison. The islands were later visited by Captain James Cook, but were not surveyed until 1840 during the Ross expedition. During the French Revolution, he was seen as a victim of the Ancien Régime and restored to his position, taking part in the Battle of Groix. He died in 1797 as a Rear Admiral and commander of the port of Brest. Kerguelen-Trémarec, Yves-Joseph (1796). Relation d'un Voyage dans la Mer du Nord. ISBN 2-84265-129-4. Kerguelen-Trémarec, Yves-Joseph (1796). Relation des combats et des évènements de la guerre maritime de 1778 entre la France et l'Angleterre (in French). Imprimerie de Patris. ^ Fisher, James (1957) . Rockall. London: Country Book Club. Wikimedia Commons has media related to Yves Joseph de Kerguelen de Trémarec. 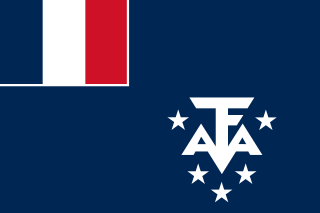 This French Southern Territories-related article is a stub. You can help Wikipedia by expanding it. Jean Guillaume Bruguière (1749–1798) was a French physician, zoologist and diplomat. 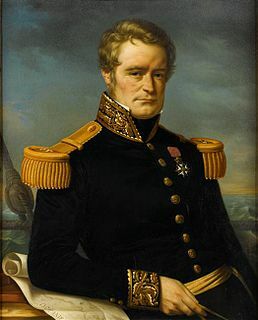 Baron Jacques Félix Emmanuel Hamelin was a rear admiral of the French navy and later a Baron. He commanded numerous naval expeditions and battles with the British Navy as well as exploratory voyages in the Indian Ocean and the South Seas. Louis Francois Marie Aleno de Saint Aloüarn was a notable French mariner and explorer. Léonard Mathurin Duphot was a French general and poet, whose Ode aux mânes des héros morts pour la liberté was highly fashionable at the time.